I saw this graphic on Linked-In a while back and saved a copy to remind me that innovation is a mistake-filled endeavor. 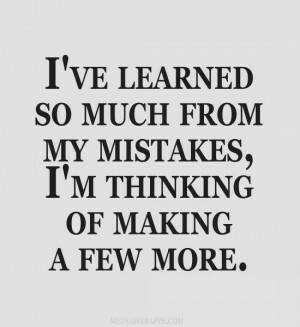 No mistake is bad, if you learn from it. In innovation circles we often hear the phrase “Fail Fast” as if it were a goal to get through the failure quickly so that you can get to the achievement that’s waiting just around the corner. But I prefer to use the term “Learn Fast”. Failure is merely the achievement of an outcome you didn’t expect – and that’s not bad, especially if you learn from it. Find as many ideas to pursue as you can handle. Filter them down to the exploitable few. Fail (Learn) quickly which ones have real potential, and then Forward them on to your product development teams. 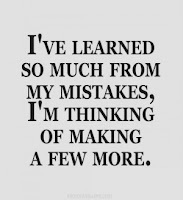 As Einstein put it, “A person who never made a mistake never tried anything new.” So, go try some new stuff and enjoy failing, er… learning.